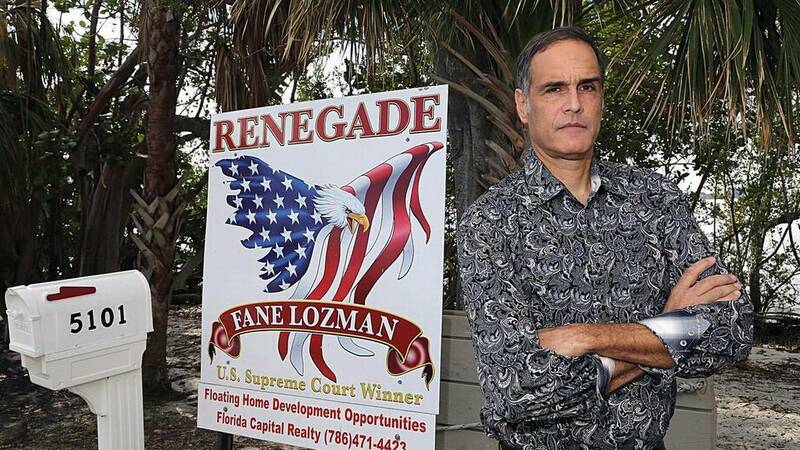 Perpetual South Florida political gadfly Fane Lozman has an odd effect on people. When he appeared before the U.S. Supreme Court five years ago, the justices were so intrigued by his arguments that his houseboat was a house and not a boat that they ended up arguing about whether the poor wooden puppet-boy Pinocchio was really a boat while he was traveling the ocean after being strategically swallowed by a hungry whale. (Definitive ruling: No! Lozman won, too.) Chief Justice John Roberts later said Lozman’s lawsuit was “my favorite case from the past term.” On the other hand, there’s former Riviera Beach City Commissioner Elizabeth Wade, who when she was in office threatened “to put my foot so far up his behind that he would think my toe is his tonsil.” (Though she added that she wasn’t unreasonable about it: “I ain’t going to pay nobody to kill him.”) Wade also called Lozman “agitating” and “aggravating,” one of a host of words beginning with the letter A — including arrogant, antagonistic and another one that refers to the business end of the digestive system — that have been employed by various city officials around South Florida to describe him over the years. 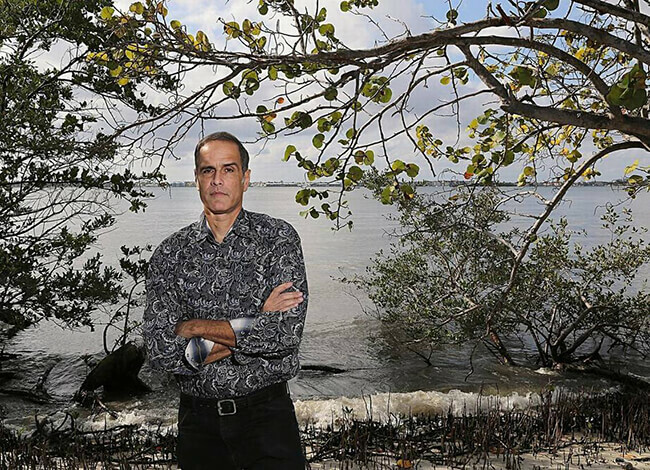 The Supreme Court will get a second opportunity to offer an opinion next month when it considers another case brought by Lozman: a lawsuit alleging that when Riviera Beach officials had him kicked out of a city commission meeting and arrested 11 years ago, they were using the criminal justice system for payback against a critic who annoyed them. Even if Lozman, 56, loses this time around, just getting his case before the justices is a remarkable achievement: Nobody can remember an individual plaintiff — a regular guy, not an institution — advancing two unrelated cases to the Supreme Court. “I don’t know of anybody else where that’s happened,” says Pamela Karlan, a Stanford law professor who’s representing Lozman. 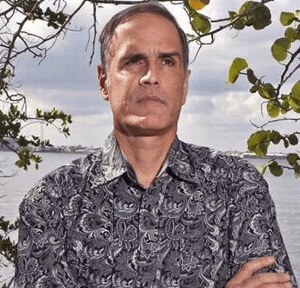 “I’m sure there’s somebody, somewhere in American history, who’s done it twice, but I don’t know who.” But Fane Lozman v. The City of Riviera Beach, Florida is likely to do much more than establish Lozman as an asterisk in Supreme Court history. More than 30 civil rights and media organizations, including the National Press Photographers Association, have filed briefs in support of Lozman, arguing that local officials routinely use arrests for petty offenses — anything from wearing saggy pants to barbecuing in the front yard — to punish their critics. “The danger of being arrested in retaliation for engaging in protected speech — without recourse — chills the exercise of core First Amendment rights, such as questioning or otherwise criticizing the government,” wrote attorneys for the ACLU in their brief in support of Lozman, adding that a Supreme Court decision against him would amount to a “blank check” for police to rub out political dissent. On Jan. 23 in Tallahassee, the First Amendment Foundation will bestow on him the Pete Weitzel/Friend of the First Amendment Award, named for a former Miami Herald managing editor. “This case is much bigger than Fane Lozman,” said his attorney, Karlan. “Just this week, you had police in Louisiana arrest and handcuff a teacher for criticizing the school board for giving the superintendent a raise. ... “This potentially affects nearly all of us. You can be thrown in jail, strip-searched, lose your job. It just can’t be that the government can arrest you for exercising your First Amendment rights.” That’s a familiar process to Lozman, who’s been arrested four times — though never convicted of anything — over the years in confrontations with public officials. He also received a series of pornographic cartoons of himself (mailed anonymously, but ultimately traced to an unadmiring police chief), and been secretly investigated by a detective agency hired with public money. “They don’t like me,” says Lozman, “and I don’t like them. So far, I’m winning.” Indeed he is. When a skirmish with North Bay Village officials that began with Lozman’s desire to build a wheelchair ramp for a disabled friend and soon escalated into criminal investigations for conflict of interest and theft of government services, four of the city’s five council members as well as its police chief were driven from office. 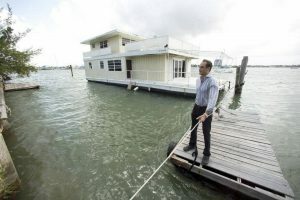 And when Lozman’s legal maneuvering succeeded in blocking Riviera Beach’s $2.4 billion plan to use eminent domain to take 2,200 homes and business for a marina redevelopment project that would mainly benefit wealthy yacht owners like Wayne Huizenga, the city commissioners retaliated by seizing and destroying Lozman’s floating home. But he not only beat them in the Supreme Court but also went to war over what he called sweetheart business deals with taxpayers’ money. Emboldened after reading that Hustler Publisher Larry Flynt had posted a $1 million reward for information about Republican presidential candidate Mitt Romney’s financial affairs, Lozman bought a newspaper ad offering a $50,000 reward to anyone who offered information “involving any alleged political corruption, for example — illegal payoffs and bid rigging” by two of the commissioners. (Lozman denied he was cheaping out compared to Flynt. “You give away a million for president,” he told reporters. “You don’t for a scumbag city official.”) Lozman also forced the commission to release the transcript of a secret meeting that seemed to prove another of his contentions — that the commissioners were unleashing the full power of the government to crush him. “I would like to offer a consensus that we spend whatever,” said one commissioner. “If you need a private investigator, whatever you need ... I ask that we spend these dollars and get it done so we send one message: This is our house and we are going to stay and there ain’t none of them going to run us away.” “These governments spend a lot of time and money trying to destroy me,” Lozman told the Herald. 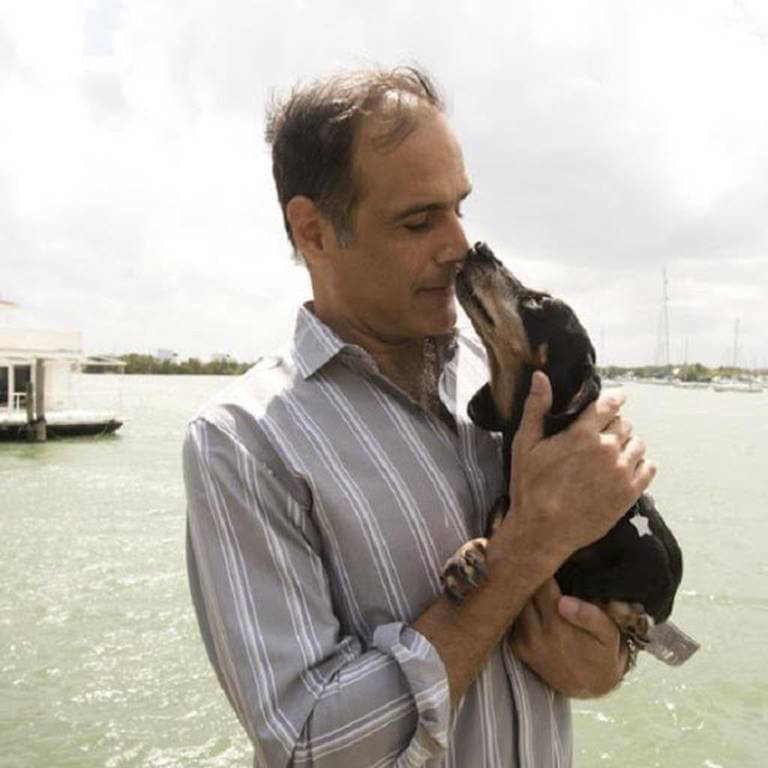 “That’s why, for such a long time, I had so much trouble getting legal help — there’s a huge public-relations downside for anybody who works with me.” When Lozman was fighting what he said was a politically motivated eviction of his floating home from a Riviera Beach dock (among other things, he was accused of using the boat to house a “vicious dog,” his 10-pound dachshund), he couldn’t find a single lawyer who would take the case. 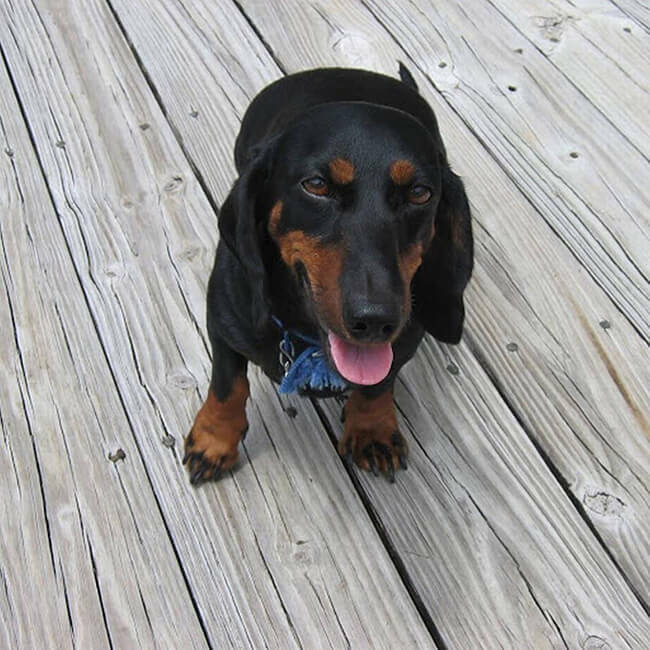 Lady the dachshund, the ‘vicious’ dog Fane Lozman was accused of harboring during a previous battle with municipal authorities.